en estar presentes y verdaderamente disfrutar de su evento"
Edward loves to party as much as he loves planning parties. His words to live by are “work hard, play hard” – a winning combination for the event industry. 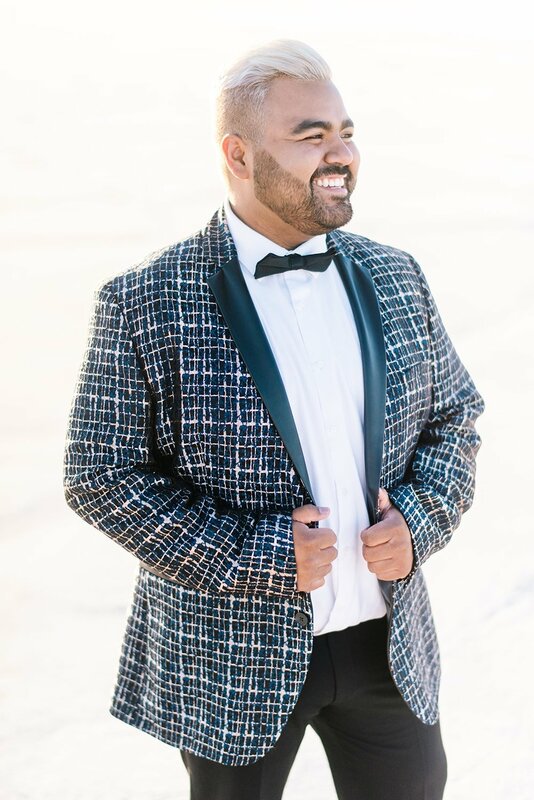 Although he has always loved planning celebrations and get-togethers for friends and family, joining Team MLE has given him the opportunity to experience, firsthand, the professional world of event planning. FUN FACT: Edward is fluent in Spanish so he's totally down for throwing an over-the-top quinceañera, or can help you profess your love at the alter "Sí acepto!" If you want this romantic language to be a priority throughout the process, he's definitely the guy for the job! Edward graduated from Westminster College with a BA in Spanish/Latin American Studies and a Minor in Music. Both of these programs were a perfect fit for Edward in providing him the opportunity to travel across the world and learn about a variety of cultures. His ability to build meaningful, reciprocal relationships with the people he meets, paired with his contagious smile, helps put people at ease, which Edward has found to be extremely valuable in the wedding industry. As much as Edward enjoys planning events and making sure everything is in place for Team MLE, he also loves spontaneity and adventure. In his spare time, Edward enjoys the company of his friends, watching movies, singing, dancing, and attending concerts.